Does your job require you to sit for prolonged periods of time? Is it causing you to have knee or lower back pain? Then stretching with your chair might be the answer for you. Stretching your hip flexors can actually improve being uncomfortable from all day sitting. By doing a chair lunge during the workday you will be happier and more productive, or at least we hope! School is in session, and your kids are under school supervision for up to 8 hours a day. Playgrounds, sports, or even in-school activities can land your child in the nurse’s office or dealing with an injury that might limit their activities in school. 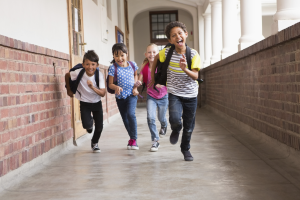 If you need tips on how to keep your child injury-free this school year, then look no further.